BRISTOL - Local shoppers were out in full force for Black Friday deals despite frigid temperatures that didn’t rise above freezing. 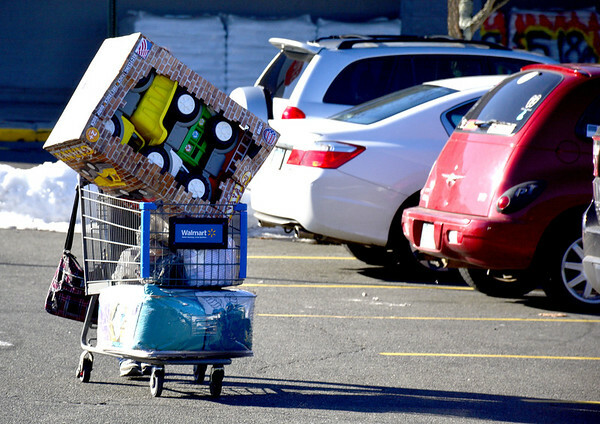 “It’s mobbed,” said Bristol resident Jennifer Gauvin, standing outside the local WalMart, loading a cart full of items into her SUV. Gauvin said she’s not usually a Black Friday shopper, but some of the deals she saw coming into what is traditionally the biggest shopping day of the year were too good to resist. “This is my first time. I would say it was definitely worth it,” Gauvin said, having bought an ottoman, a comforter, a salt lamp, a giant toy truck for her grandson and other merchandise. Friday’s deals may have been good enough to lure Gauvin into making Black Friday a yearly tradition for her. “I just won’t do it Thanksgiving night,” she said, alluding to shoppers who camp out overnight for early-morning store openings. Bristol resident David Rivera and his family also braved the cold weather, buying a printer, a karaoke machine and some holiday gifts. “We always come out,” he said. 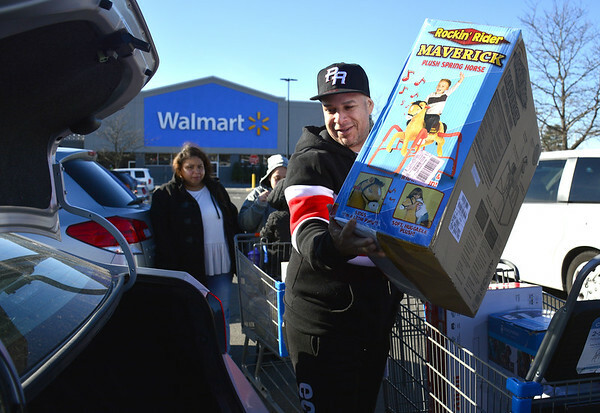 Taisha Rodriguez, of New Britain, said she hasn’t participated in the Black Friday frenzy in many years, but a call from her cousin about a 55-inch TV going for $398 at the Bristol WalMart convinced her all the hype would be worth it. “They were pretty good,” Rodriguez said of the deals 2018 offered up. 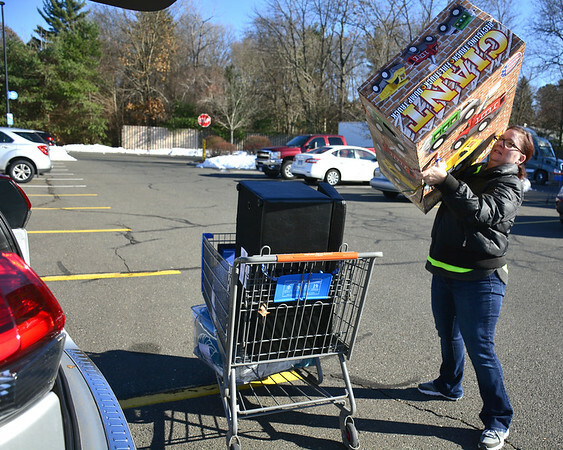 “I just came for the TV,” she said, adding that she picked up a few other items that seemed like a bargain. “I used to go out all the time for Black Friday when I was little,” Rodriguez said. While most stores in Bristol saw their shopping rushes Friday morning, some stores in the New Britain area opened just in time for deal-seeking shoppers to eat their Thanksgiving dinner and hit the retailers. A group of eight ladies were together at Westfarms mall all wearing the same shirts that read “Up all night to get lucky, Black Friday 2018.” Another group of 11 teenagers said they had been at the mall since 6 p.m. on the evening on Thanksgiving, and were still there by 8 a.m. Friday. Amanda Sirica, spokesperson for Westfarms mall, said that while the mall opened at 6 p.m. on Thanksgiving Day and closed at 2 a.m. Friday Morning, 15 of the stores decided to stay open all night. Among those stores are Macy’s, J. C. Penney, Bath & Body Works, Gap and Hollister. While Black Friday may be the biggest shopping day of the year, the weekend still holds Small Business Saturday, which will be followed by Cyber Monday. Justin Muszynski can be reached at 860-973-1809 or jmuszynski@bristolpress.com. Posted in The Bristol Press, Bristol, General Business on Friday, 23 November 2018 20:47. Updated: Friday, 23 November 2018 20:49.